Lot Detail - Human Dynamo Sideshow Banner. Johnson, Fred. 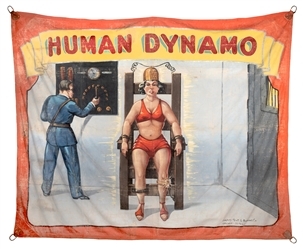 Human Dynamo Sideshow Banner. Chicago: O’Henry Tent and Awning, ca. 1950. 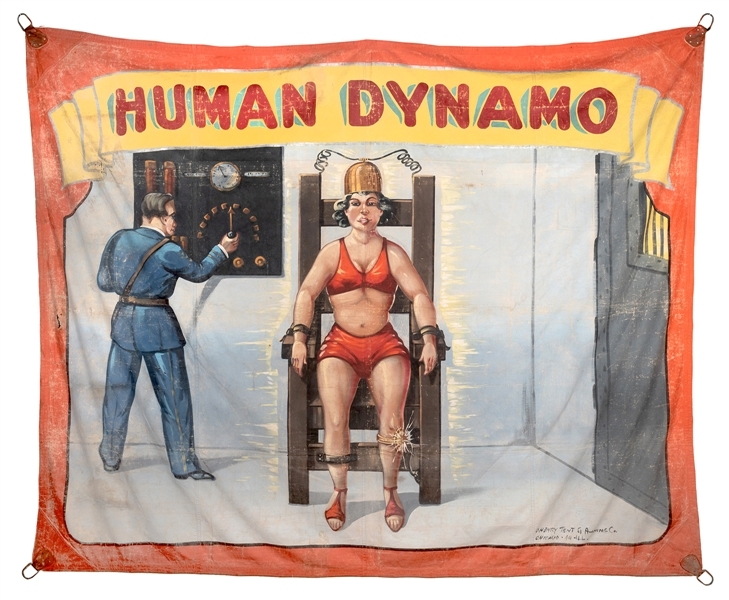 Vibrant painted canvas banner depicting the classic Electric Chair sideshow illusion. 91 x 111”. Scattered holes, wear, and soiling from use, primarily in borders.